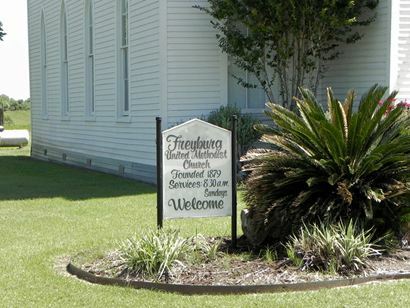 Named by homesick Germans for a town back in the old country, Freyburg was founded in the late 1860s. 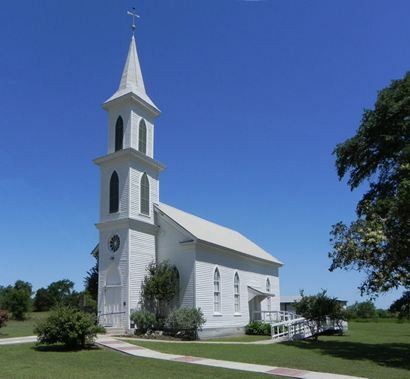 Most of the town's history revolves around the Methodist church which celebrated its 125th anniversary. 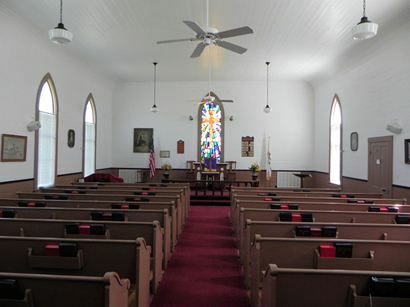 Prior to the 1879 construction of the church building, services had been held in private homes and the local school. 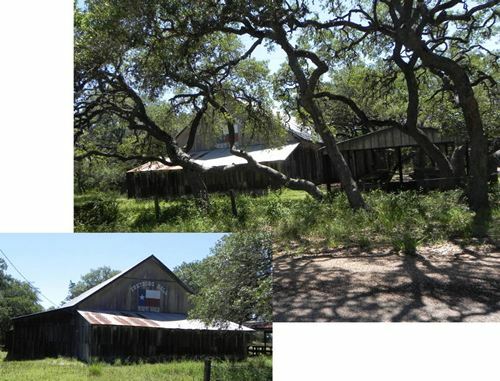 The town had the essential store and blacksmith in 1886 and by the end of that decade, the town was granted a post office as well. The population was still only fifty people in the 1890s, but this small group managed to support both a general and grocery store as well as a saloon. 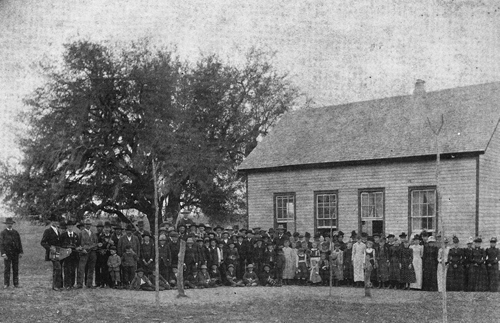 The German benevolent Order of the Sons of Hermann built a dance hall in Freyburg early in the 20th Century. 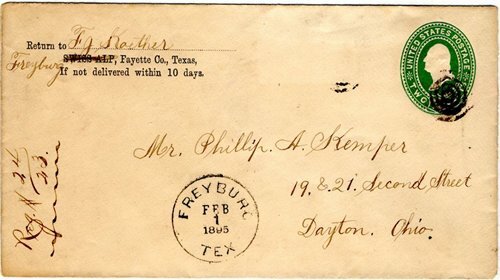 The post office closed its doors in 1907. 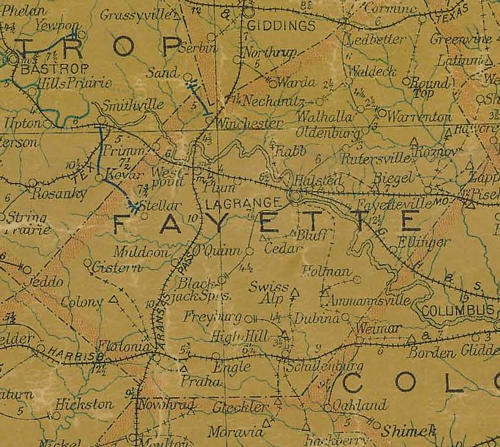 By 1940 the town had fewer residents than ever, and the homes of those forty people were scattered across the countryside. 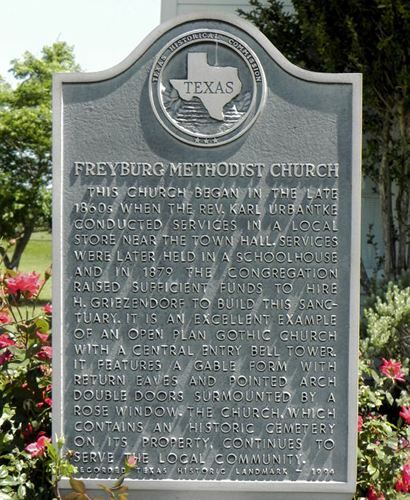 In the 1970s Freyburg was still maintaining a store, and had both Lutheran and Methodist churches. 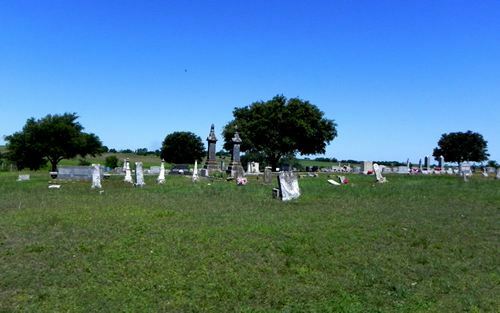 In recent years the population has increased back to forty-five. 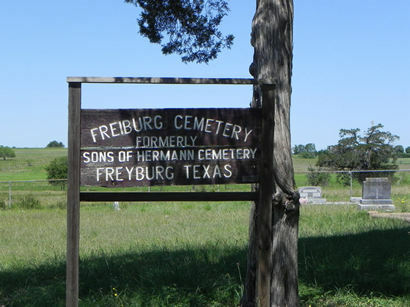 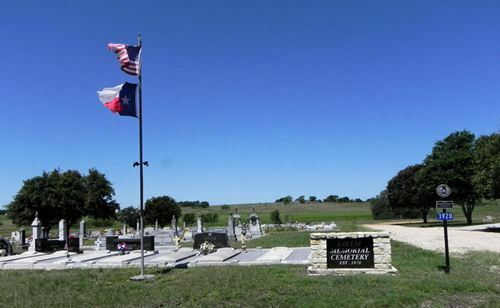 Freyburg is often mistaken for Frelsburg, Texas which is in neighboring Colorado County. 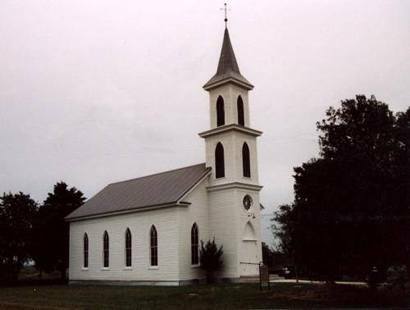 The Freyburg Methodist Church is located about 2-1/2 miles SW of Freyburg. 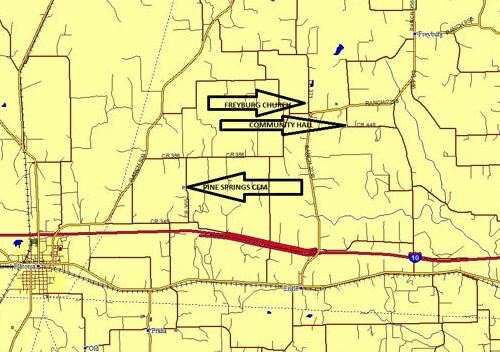 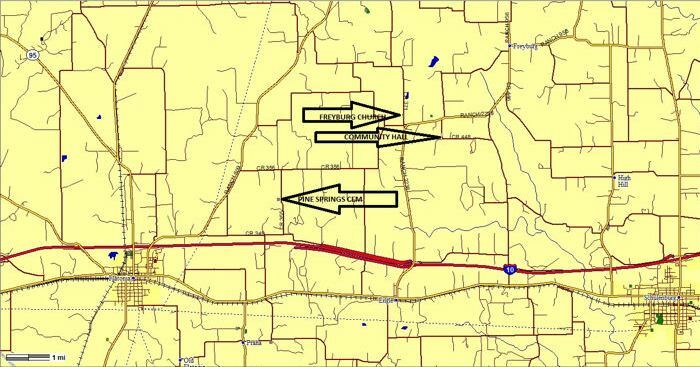 Map also shows arrow to Pine Springs Cemetery, Flatonia & Praha.